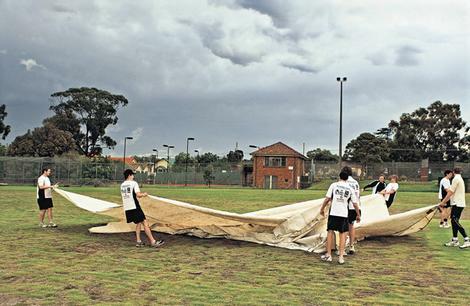 Balwyn is a Cricket Club that is passionate about cricket, providing top quality facilities and coaching for players. Our members are friendly, committed and hardworking - from the president & committee, Junior officials, Senior & Junior players, former players, volunteers - all our members. If you love cricket, want quality coaching and facilities, players who play for each other, then Balwyn Cricket Club is the club for you. Whether you are interested in playing, coaching, volunteering, sponsoring or barracking - we'd love to hear from you. Make an enquiry or send us your feedback and get involved with our great club. Playing Subs | Social Membership | Past Player Membership | Golden Tigers Membership | Order now! IT'S 6.30 on a pre-Christmas Thursday evening, and Melbourne is reeling from an afternoon downpour that has flooded streets, paralysed trains and sent the State Emergency Service into a frenzy. At Balwyn Park, under an angry sky that could yet have more bad tidings to spill, cricket training is underway.